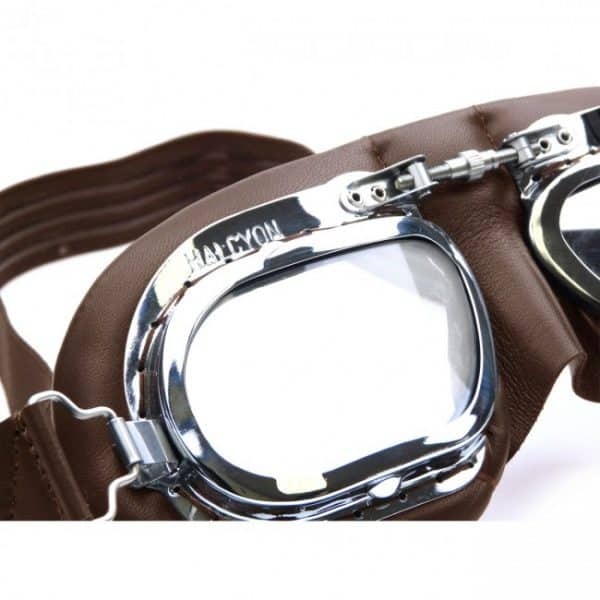 The Halcyon Mark 49 goggle is handmade in the UK using only the finest quality materials and is finished to the highest possible standard. 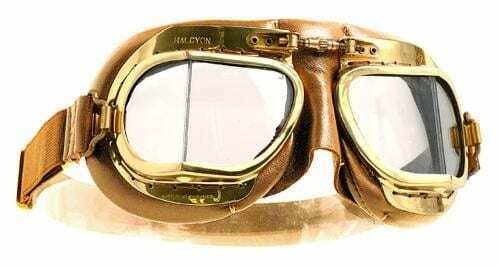 Unlike many other goggles on the market that are mass-produced using molded plastic for the frames, Halcyon Mark 49 goggle’s frames continue to be made in brass which is then hand-polished to a mirror finish before being chrome plated. The frames are hand-stitched to a quality padded red leather face mask. One size fits all. Fully adjustable headband (One size fits all). Headband lined with silicone strips for extra grip when worn. Real leather facemask. Soft brown Leather is hand stitched over soft foam provides added comfort when worn. Curved polycarbonate lenses. Scratch resistant and 99.9% UV protected. Lenses Meets Safety Institution Standards (BSI – BS4110). Goggle frames. Highly polished chrome plating over 100% solid brass frames for a unique, stylish look. 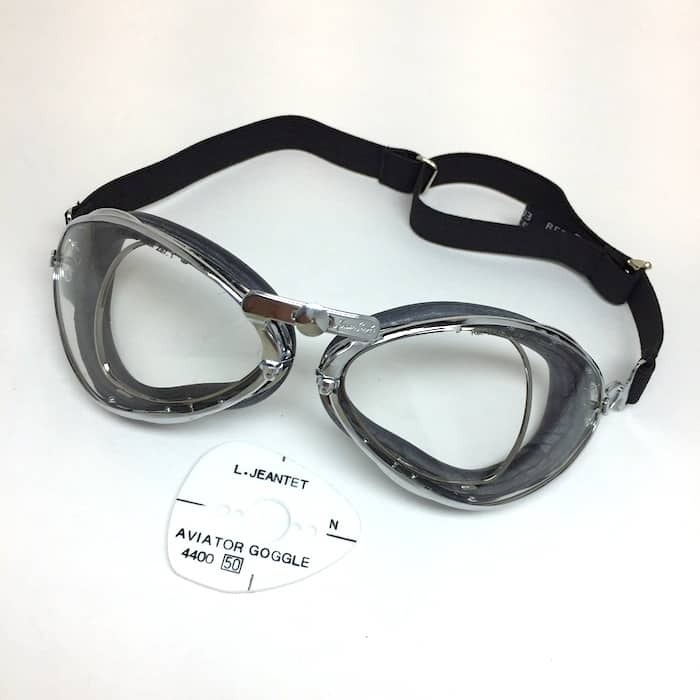 Curved Goggles. 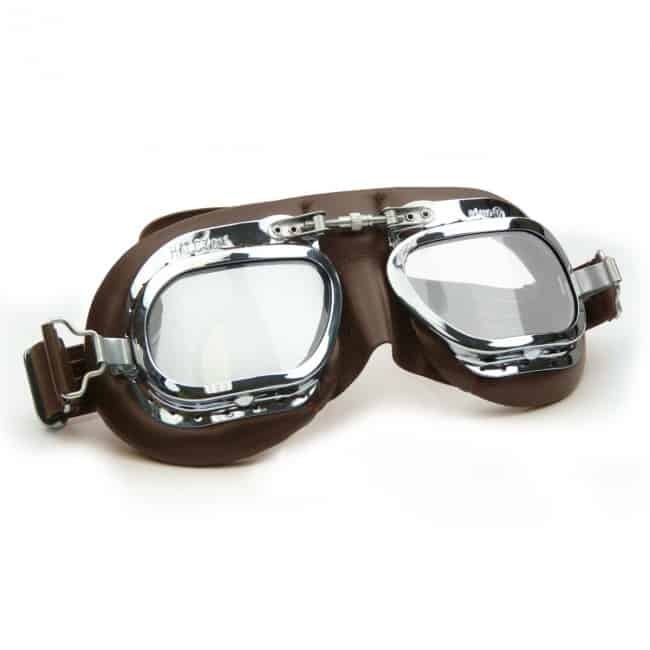 Brown Leather, Mark 410 Goggles is an inspired design by Brooklands motorcar racing. Crafted with care by Halcyon, for classic car enthusiasts. Join the British Racing Drivers Club (BRDC) and wear these goggles proudly. A fashion which captures the history of 1907. Although Brooklands racing ended in 1939, due to heavy damage from the effects of world war 2. The memory of this famous race track lives on, and not just in England, but also globally. Events celebrating the Brookland motor racing sport lives on today. Not Just for Classic Car Enthusiasts. Motorcyclists also wear our curved goggles with pride, in celebration for Brookland racing. You don’t need a classic car to get involved! MotoAmore LLC 1670 Bell Ave #100 Sacramento, CA 95838 USA | Phone: 831-438-2837 | © 2019 Moto Amore. All Rights Reserved.